Seeking the best preschool, infant care, daycare, childcare, out-of-school or summer program for your child? Worried about how to find the right place for your child with special needs? Since 1994, this family-owned and operated child care center has been committed to providing quality early care and education for children from birth through age 12. We have been recognized locally and around the state of Wyoming for our early childhood program of excellence. We believe children have enormous potential and natural curiosity with their own thoughts, emotions and ways to express themselves. We also believe each child develops through trusted relationships and direct interaction with the environment, in group settings. Our program is influenced by the Reggio-Emilia Approach, incorporated with the Conscious Discipline/Kindness Curriculum and our Casper, Wyoming culture with our commitment to preparing children for school and life. Our world is becoming more and more diverse and interconnected, which means children will need new skills in order to communicate, collaborate, and work with others within the global context. At AppleTree, we try to expose children to concepts of many cultures, languages, respect, and compassion with a more global perspective. The first five years of a child’s life encompass a complex period of phenomenal growth and development, as well as a unique period filled with joy and wonderment. The experiences that children have during these years profoundly influence their physical well-being, their sense of self-worth, their feelings about other people, their capacity to learn and their attitudes towards learning—all factors which will exert a powerful influence on their long-term development and , more immediately, on the their future school and life success. We have highly qualified and nurturing staff. All of our lead teachers have degrees with support teachers working toward degrees in related fields of early childhood education. Our core, lead teachers and administrators have been employed with us from 7-20 years, with a combined total of over 100 years of early childhood experience. Be “in the moment”, listening and observing the child’s needs and interests to help them be a successful learner. Be caring, nurturing and responsive, respecting family cultures and beliefs. Use the latest research, nationally recognized best practices, and Wyoming state guidelines, rules and regulations as the basis for preparing the environment, materials, and expectations.. Believe in lifelong learning and obtain more than the professional development, STARS training, required by the WY Department of Family Services for licensing and participate in professional and community organizations. Guide behaviors, teach and model appropriate ways of expressing feelings and responding to common and sometimes difficult social interactions. Use the environment as a teacher, providing clean and safe areas to explore, connect, and support learning. Teach respect and care for all living things, materials, property, nature and the environment. Communicate openly with families while maintaining confidentiality. Document the child’s growth through work sampling, photography, videotapes, and note taking. Children are born curious and ready to learn. In our home-like environment, infants and toddlers are nurtured, held, and rocked by responsive caregivers. As their cries are responded to, they develop a strong sense of security. 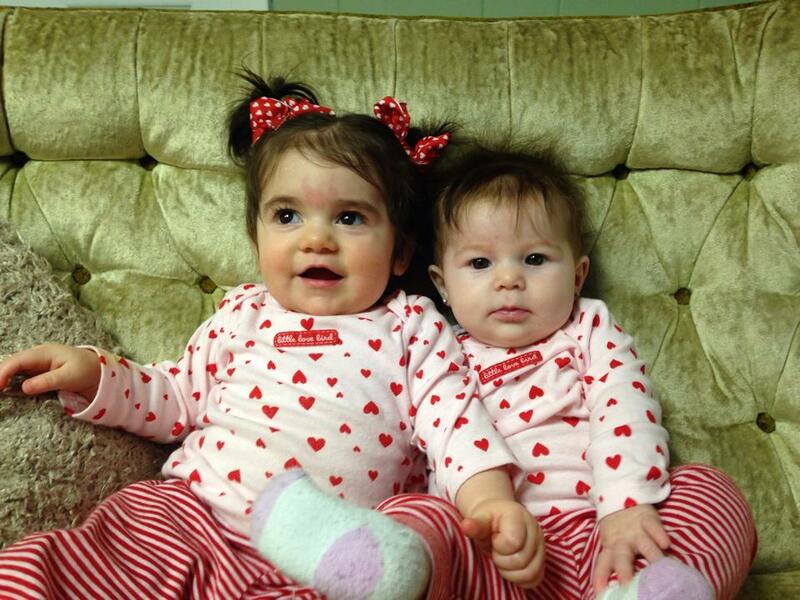 We help each baby by meeting their individual needs recognizing typical ages and stages of development. We read and sing to them, dance and do finger-plays with them, and include infant massage and baby sign language. Our teachers are on the floor playing with them, encouraging growth and development. We use the WY Early Learning Guidelines (birth to 3 years) and Foundations (3-5 years) as the framework in building a curriculum that is rich, child-focused, culturally respective, engaging, and based on research. How a child develops is based on a number of factors—what they are born with, the culture in which they live and their experiences within their homes and out-of-home care. Trusted relationships are the key. We have created our own developmentally appropriate, individualized curriculum , Positive Connections, with the additional components of Conscious Discipline™, Kindness Curriculum™, The Babes™, and Reggio Emilia Approach™ which all influence the way we prepare children for successfully transitioning to kindergarten. Positive Connections was created to take a holistic approach with individualized expectations and goals based on the needs of each child using their own unique style of learning. While using the WY Early Learning Guidelines and Foundations as the framework, preparation for success in school and life encompasses not only academic requirements, but also social-emotional and behavioral skills. The components are embodies throughout every activity during the day and are engaging, developmentally appropriate and meaningful. It is relationship-based with our school family as an extension of the child’s family, which in turn is an integral part of the community. The Reggio Emilia Approach is based on principles of respect, responsibility, and community through exploration and discover in a supportive and enriching environment based on the interests of the children. With the focus on the "whole child", all children are exposed to early literacy, sign language, Spanish, math, science, social studies, art, music, self- regulation, problem solving, conflict resolution, & social skills on a daily basis. Activities are child-centered and teacher-facilitated with a focus on respectful relationship-building. Lessons are adapted to meet each child's individual needs. The learning environment itself is an important and according to Reggio Emilia, the third teacher—following the family, and early care and education teacher. When the environment is set up with an understanding of how children learn and develop it can positively support teaching and learning. Children need a daily routine that is predictable. All types of materials are available during the day using centers to group activities for children. Reasonable accommodations can be made for children with special needs so peer interactions can take place. Also, to continue with our educating the “whole child”, we help children learn how to identify their feelings and express them. Social/emotional/behavioral development is very important for success in school and life. We teach young children appropriate ways of working through their feelings. We have partnered with Victor Orr, Violence Prevention Specialist at the Casper Self Help Center since 1995. Victor visits our school weekly during the school year and using BABES™ puppets, presents accurate, nonjudgmental information to enable children to grasp the importance of positive living skills and good decision making techniques. This program is designed to help children understand and develop skills necessary to cope with unhappy situations, promote self-esteem, define peer pressure and provide the tools necessary to make good choices. Conscious Discipline™ is a research-based comprehensive, self-regulation program that combines social-emotional learning with guidance and I built on current brain research. It utilizes everyday events rather than a physical curriculum and addresses the adult’s emotional intelligences as well as the child’s. It promotes an understanding of how internal emotional states dictate behaviors based on brain research, while empowering the child and the adults in the child’s life. The Kindness Curriculum™ is designed to build character and teach values and skills children need to grow into happy productive and caring people. 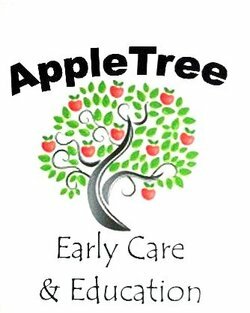 At AppleTree, we form a partnership with families because they are the child’s first and most important teacher. They know the child the best. To establish positive relationships which foster trust, communication and collaboration in providing the best learning situation for the child. To Involve families in our program. To create methods of 2-way communication with opportunities for sharing information and feedback. These methods include informal daily conversations, formal discussions, text messaging, email, newsletters, parent workshops on various topics, contact through social media with regular postings to our Facebook page and Twitter. To display children’s work to make learning visible, demonstrating respect for children on their learning journey. To encourage participation in Center activities and events. To provide assistance from our Family Support Consultant who knows the community resources to support families, can attend Individualized Education Plan (IEP) meetings with the family, and assist families in guiding the behaviors of young children. To provide free parenting materials to help families with the supports that can help with their child’s development.